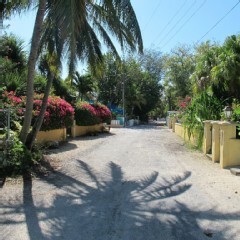 This is a quaint little road located at the 4 way stop once entering the town of West Bay. The road has a mix of historic buildings and newer vacation homes. Check out the sea side fish fry Heritage Kitchen for some great local treats. While you eat sit on the lookout wall for some amazing views of the Caribbean Sea, Seven Mile Beach and George Town.